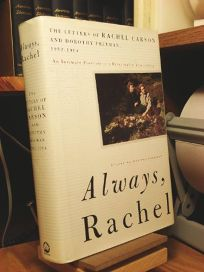 The book list is separated into three sections, Books By Rachel Carson, Books About Rachel Carson and a Highly Recommended Books about environmental studies and associated subjects. * Books are listed in order of publication within each section. Rachel Carson wrote only four books, but each of them in some measure changed the way we thought about ourselves and our world. All four of those published during her lifetime were "best-sellers". 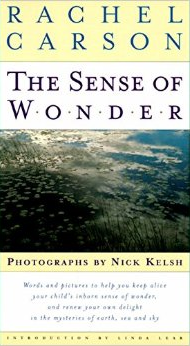 A fifth book The Sense of Wonder was published posthumously. All are still in print and several are available on CD, audio, and in large print editions. The book jackets shown here are the current in print editions, contrasted with the original book jackets. The Sense of Wonder, originally written as a 1950's magazine article ("Help Your Child to Wonder") and photo-illustrated after her death, details Carson's philosophy that adults need to nurture a child's inborn sense of wonder about the natural world. The new edition with glorious photographs by Nick Kelsh, printed in Italy, is the beautiful kind of book Carson imagined might someday be printed. Linda Lear wrote the introduction. 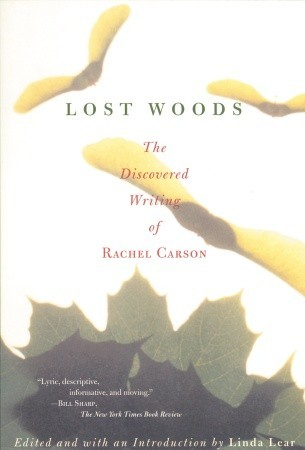 This collection of childhood prose, early writings, intimate letters, speeches, a TV script, and unpublished fragments by one of the pioneers of the modern environmental movement gives rare glimpses of Carson’s unique capacity to fuse scientific precision and lyrical power. 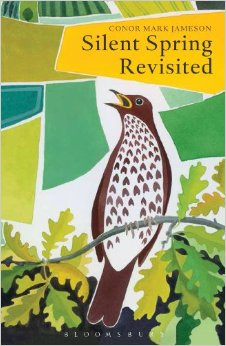 Spanning forty-five years of Carson’s writing it constitutes a stirring autobiography of the scientist who taught the world about ecology. This list is not inclusive, but represents the most recent scholarship about Rachel Carson. Your local bookstore, public library, college library, or on-line bookstore will probably have these titles. All are in print and all offer paperback editions. 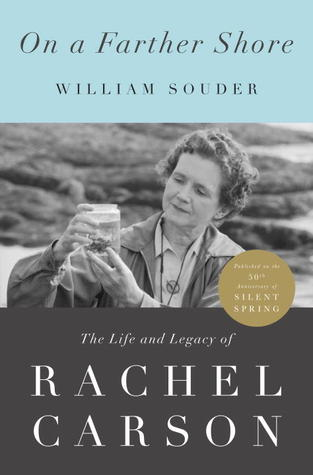 Rachel Carson's Silent Spring, published in 1962, did more than any other single publication to alert the world to the hazards of environmental poisoning and to inspire a powerful social movement that would alter the course of American history. This definitive, sweeping biography shows the origins of Carson's fierce dedication to natural science -- and tells the dramatic story of how Carson, already a famous nature writer, became a brilliant if reluctant reformer. Drawing on unprecendented access to sources and interviews, Lear masterfully explores the roots of Carson's powerful connection to the natural world, crafting a " fine portrait of the environmentalist as a human being" (Smithsonian). 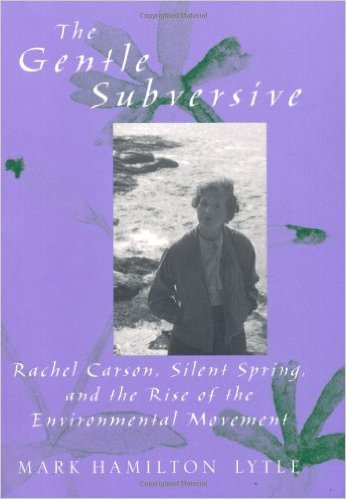 Rachel Carson (1907-1964), author of The Silent Spring, has been celebrated as the pioneer of the modern environmental movement. Although she wrote no autobiography, she did leave letters, and those she exchanged, sometimes daily, with Dorothy Freeman. The 750 letters collected here are perhaps more satisfying than an account of her own life would have been. In 1953, Carson became Freeman's summer neighbor on Southport Island, Maine. The two discovered a shared love for the natural world. Their descriptions of the arrival of spring or the song of a hermit thrush are lyrical and their friendship quickly blossomed, as each realized she had found in the other a kindred spirit. To read this collection is like eavesdropping on an extended conversation that mixes the mundane events of the two women's family lives with details of Carson's research and writing and, later, her breast cancer. Readers will inevitably wonder about the nature of the women's relationship; editor Martha Freeman, Dorothy's granddaughter, believes that the correspondents' initial caution regarding the frankly romantic tone of their letters led them to destroy some. Whether the relationship was sexual, theirs was a deeply loving friendship, and reading their letters leaves a sense of wonder that they felt so free to give themselves this gift. "Never forget, dear one, how deeply I have loved you all these years," Carson wrote less than a year before her death. And if, as Carson believed, "immortality through memory is real," few who read these letters will forget these remarkable women and their even more remarkable bond. Photos. 25,000 first printing. Copyright 1995 Reed Business Information, Inc.
Rachel Carson is the most important environmentalist of the 20th century. Her Silent Spring, published in 1962, changed the course of history. Here is an intimate portrait of this remarkable writer, who taught us the meaning of ecology. Drawing from her writings, the recollections of her closest friends, and his own long association with her, Brooks has created a unique profile that shows how Carson was able to merge two seemingly divergent passions -- for literature and science -- to write some of the most important books of our time: not only Silent Spring, but The Sea Around Us, The Edge of the Sea, and A Sense of Wonder. A unique portrait, including excerpts from Carsons published and unpublished writings, and reminiscences from friends and colleagues. Lytle explores the evolution of Carson's ideas about nature, her love for the sea, her career as a biologist, and above all her emergence as a writer of extraordinary moral and ecological vision. We follow Carson from her childhood on a farm outside Pittsburgh, where she first developed her love of nature (and where, at age eleven, she published her first piece in a children's magazine), to her graduate work at Johns Hopkins and her career with the Fish and Wildlife Service. 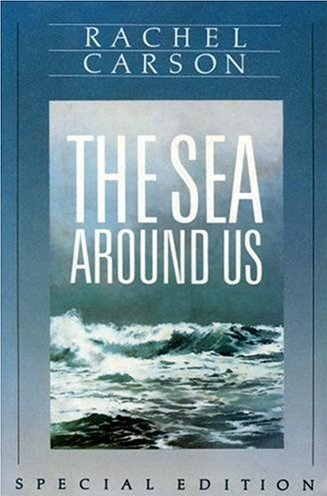 Lytle describes the genesis of her first book, Under the Sea-Wind, the incredible success of The Sea Around Us (a New York Times bestseller for over a year), and her determination to risk her fame in order to write her "poison book": Silent Spring. The author contends that despite Carson's demure, lady-like demeanor, she was subversive in her thinking and aggressive in her campaign against pesticides. Carson became the spokeswoman for a network of conservationists, scientists, women, and other concerned citizens who had come to fear the mounting dangers of the human assault on nature. What makes this story particularly compelling is that Carson took up this cause at the very moment when she herself faced a losing battle with cancer. 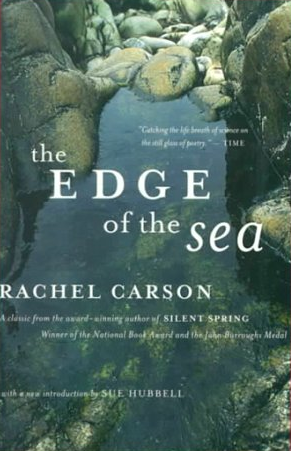 Carson’s lyrical, popular books about the sea, including her best-selling The Sea Around Us, set a standard for nature writing. By the late 1950s, Carson was the most respected science writer in America. She completed Silent Spring (1962) against formidable personal odds, and with it shaped a social movement that altered the course of history. In Silent Spring, Carson asserted that "the right of the citizen to be secure in his own home against the intrusion of poisons applied by other persons" must surely be a basic human right. She was the first to challenge the moral vacuity of a government that refused to take responsibility for or to acknowledge evidence of environmental damage. 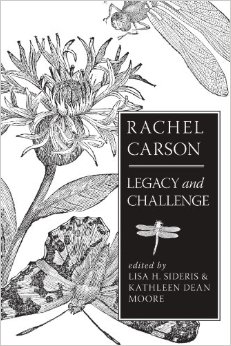 In this volume, today’s foremost scientists and writers give compelling evidence that Carson’s transformative insights -- her courage for the earth -- are giving a new generation of activists the inspiration they need to move consumers, industry, and government to action. No single event played a greater role in the birth of modern environmentalism than the publication of Rachel Carson's Silent Spring and its assault on insecticides. The documents collected by Thomas Dunlap trace shifting attitudes toward DDT and pesticides in general through a variety of sources: excerpts from scientific studies and government reports, advertisements from industry journals, articles from popular magazines, and the famous "Fable for Tomorrow" from Silent Spring. 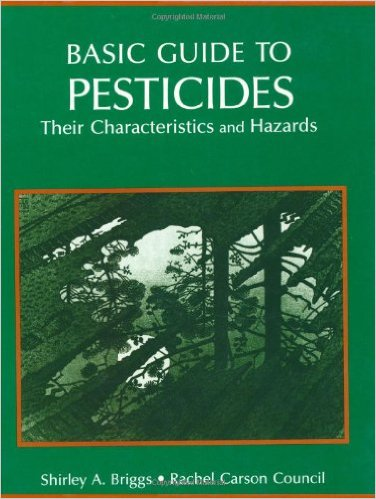 Beginning with attitudes toward nature at the turn of the twentieth century, the book moves through the use and early regulation of pesticides; the introduction and early success of DDT; the discovery of its environmental effects; and the uproar over Silent Spring. It ends with recent debates about DDT as a potential solution to malaria in Africa. 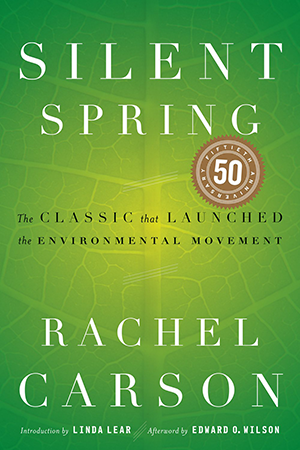 With our "green revolution" gearing up on all fronts, there couldn't be a timelier book than Understanding Rachel Carson's Silent Spring. Written at a time when science writing and literature didn't mesh and when people didn't care or think about the environment, pollutants, or preserving natural resources, Silent Spring not only exposed the dangers of pesticides but became one of the most influential manifestos on environmental issues. 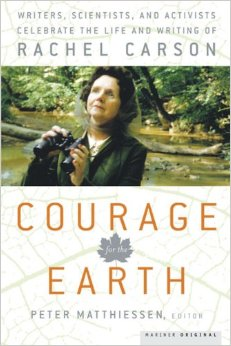 This book explores Silent Spring's historical context and its influence on and repercussions for the world. [Excerpt] On June 4, 1963, less than a year after the controversial environmental classic Silent Spring was published, its author, Rachel Carson, testified before a Senate subcommittee on pesticides. She was 56 and dying of breast cancer. She told almost no one. She’d already survived a radical mastectomy. Her pelvis was so riddled with fractures that it was nearly impossible for her to walk to her seat at the wooden table before the Congressional panel. To hide her baldness, she wore a dark brown wig. 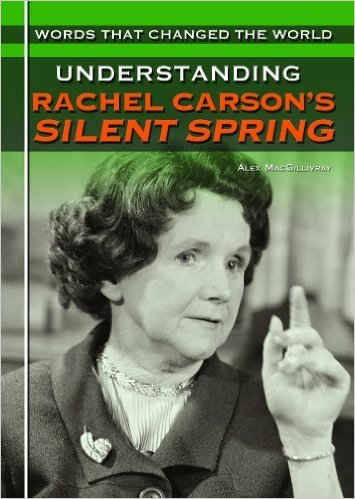 American scientist and author Rachel Carson is said to have sparked the modern day environmental movement with the publication of Silent Spring in 1962. She made vivid the prospect of life without birdsong. But has her warning been heeded? Fifty years later, Conor Mark Jameson reflects on the growth of environmentalism since Silent Spring was published. His revealing and engaging tale plots milestone events in conservation, popular culture and political history in the British Isles and beyond, tracing a path through the half century since 'zero hour' 1962. Around this he weaves his own observations and touching personal experiences, seeking to answer the question: what happened to the birds, and birdsong, and why does it matter? Elegantly written and meticulously researched, On a Farther Shore reveals a shy yet passionate woman more at home in the natural world than in the literary one that embraced her. William Souder also writes sensitively of Carson's romantic friendship with Dorothy Freeman, and of Carson's death from cancer in 1964. This extraordinary new biography captures the essence of one of the great reformers of the twentieth century. Silent Spring is a watershed moment in the history of environmentalism, credited with launching the modern environmental movement. In synthesizing a jumble of scientific and medical information into a coherent argument, Carson successfully challenged major chemical industries and the idea that modern societies could and should exert mastery over nature at any cost. Her critique remains salient today. 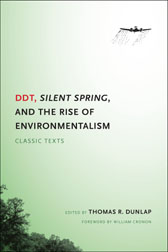 This book provides the first in-depth analysis, contextualisation and overview of Silent Spring, a critical work in the history of environmentalism, surveying its lasting impact on the environmentalist movement in the last fifty years. 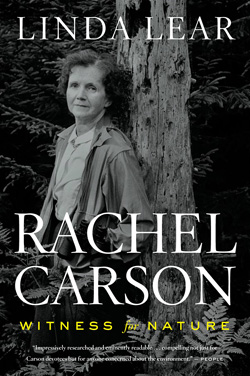 In Rachel Carson and Her Sisters, Robert K. Musil redefines the achievements and legacy of environmental pioneer and scientist Rachel Carson, linking her work to a wide network of American women activists and writers and introducing her to a new, contemporary audience. Rachel Carson was the first American to combine two longstanding but separate strands of American environmentalism—the love of nature and a concern for human health. 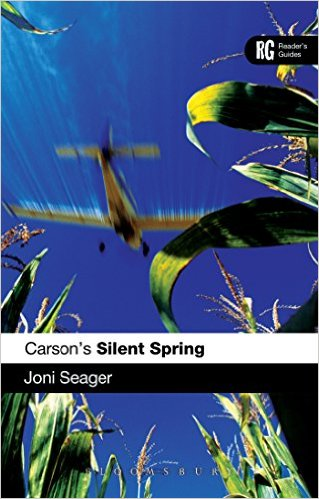 Widely known for her 1962 best-seller, Silent Spring, Carson is often perceived today as a solitary "great woman" whose work single-handedly launched a modern environmental movement. But as Musil demonstrates, Carson’s life’s work drew upon and was supported by already existing movements, many led by women, in conservation and public health. 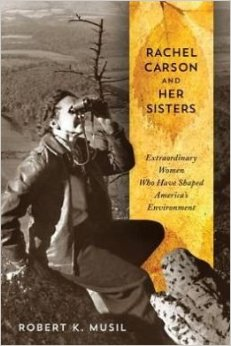 On the fiftieth anniversary of her death, this book helps underscore Carson’s enduring environmental legacy and brings to life the achievements of women writers and advocates, such as Ellen Swallow Richards, Dr. Alice Hamilton, Terry Tempest Williams, Sandra Steingraber, Devra Davis, andTheo Colborn, all of whom overcame obstacles to build and lead the modern American environmental movement. 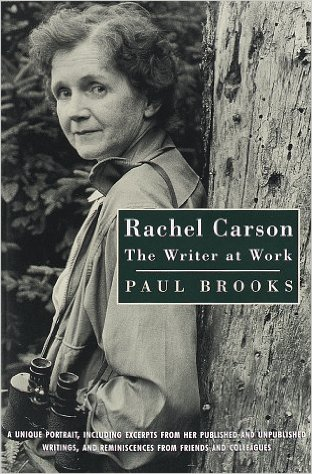 Author: Rachel Carson Counsel Inc.
Shirley A. Briggs, Carson's friend, spent years as Director of the Rachel Carson. 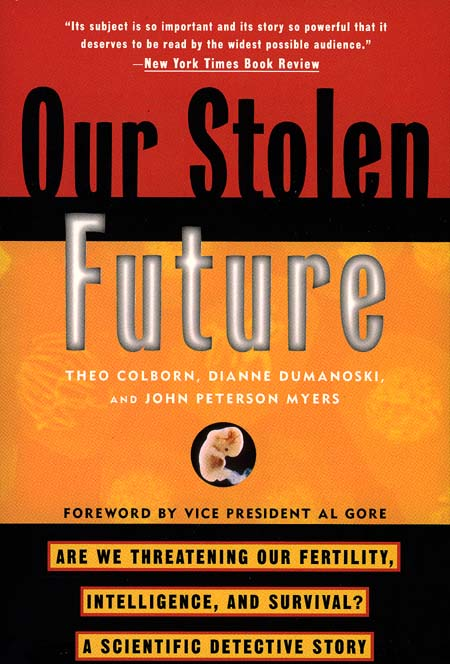 Our Stolen Future: Are We Threatening Our Fertility, Intelligence, and Survival? A Scientific Detective Story is a 1996 book by Theo Colborn, Dianne Dumanoski, and John Peterson Myers. The book chronicles the development of the endocrine disruptor hypothesis by Colborn. Though written for the popular press in narrative form, the book contains a substantial amount of scientific evidence. A foreword from then Vice President Al Gore increased the book's visibility. It ultimately influenced government policy through congressional hearings and helped foster the development of a research and regulation initiative within the EPA. 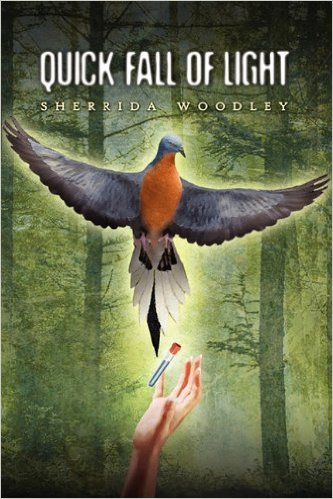 Quick Fall of Light is a novel about a bird flu pandemic, a woman and an "extinct" bird who are caught in its deadly approach, and the extraordinary relationship between them. The bird in the story is America's passenger pigeon, historically extinct for almost 100 years. Yet, a colony has been harbored safely and secretly for many years in Quick Fall, in the Olympic Rain Forest of Washington State. It is here where the story begins, and the mystery of the bird's survival becomes the key to saving mankind. 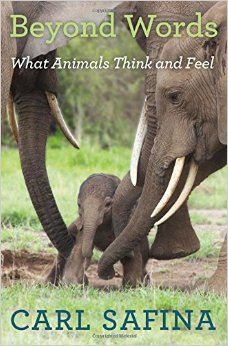 I've been told the premise is profound and moving with advance praise from writers and naturalists, including Sy Montgomery, Jeffrey Masson, and Rachel Carson's biographer, Linda Lear. Highly recommended for readers who've considered the probabilities of a biotechnical disaster up against the unpredictable turns of nature--this time a spellbinding bird. I hope you find it an interesting, inspiring read. 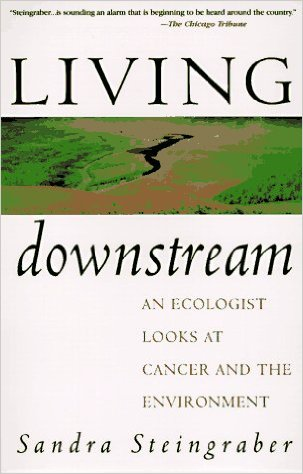 The first edition of Living Downstream -- an exquisite blend of precise science and engaging narrative -- set a new standard for scientific writing. Poet, biologist, and cancer survivor, Steingraber uses all three kinds of experience to investigate the links between cancer and environmental toxins. Praised for its ability to kill insects effectively and cheaply and reviled as an ecological hazard, DDT continues to engender passion across the political spectrum as one of the world's most controversial chemical pesticides. 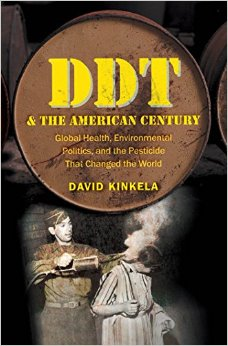 In DDT and the American Century, David Kinkela chronicles the use of DDT around the world from 1941 to the present with a particular focus on the United States, which has played a critical role in encouraging the global use of the pesticide. The banning of DDT in the United States in 1972 is generally regarded as a signal triumph for the American environmental movement. Yet DDT's function as a tool of U.S. foreign policy and its use in international development projects designed to solve problems of disease and famine made it an integral component of the so-called American Century. The varying ways in which scientists, philanthropic foundations, corporations, national governments, and transnational institutions assessed and adjudicated the balance of risks and benefits of DDT within and beyond America's borders, Kinkela argues, demonstrates the gap that existed between global and U.S. perspectives on DDT. DDT and the American Century offers a unique approach to understanding modern environmentalism in a global context. 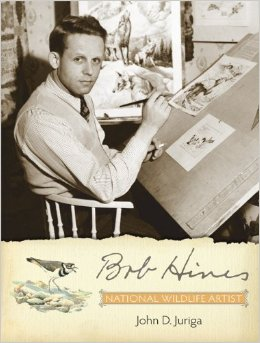 As Bob Hines imbued his wildlife subjects with vitality in his artwork, John D. Juriga brings life to Hines's remarkable talent and career in his captivating biography, Bob Hines: National Wildlife Artist. Hines, a gifted self-taught artist, found his calling during the darkness of the Great Depression, turning to art as a means of sharing the richness in nature's beauty. His career brought him from designing the 1946 Federal Duck Stamp to joining the US Fish and Wildlife Service where he managed the competition for over thirty years, earning him the nickname of "Mr. Duck Stamp Contest." His collaboration with Rachel Carson and other luminaries placed him on the cusp of the environmental movement in the United States. Celebrating the centennial of Hines's birth, this richly illustrated volume will appeal to wildlife enthusiasts and Duck Stamp collectors alike, as well as those interested in the history of conservation in the United States. The journey takes him from an encounter with a stuffed Goshawk in a glass case, through travels into supposed Goshawk territories in Britain, to Berlin -- where he finds the bird at ease in the city. Why, he wants to know, is the bird so rarely seen in Britain? 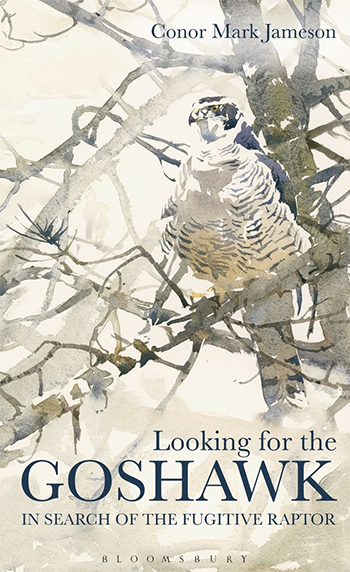 He explores the politics of birdwatching, the sport of falconry and the impact of persecution on the recent history of the bird in Britain and travels the length of Britain, through central Europe and the USA in search of answers to the goshawk mystery. Throughout his journey he is inspired by the writings of T H White who told of his attempts to tame a Goshawk in his much-loved book. It's a gripping tale on the trail of a most mysterious and charismatic bird. Thousands of ravenous tiny shorebirds race along the water's edge of Delaware Bay, feasting on pin-sized horseshoe-crab eggs. Fueled by millions of eggs, the migrating red knots fly on. When they arrive at last in their arctic breeding grounds, they will have completed a near-miraculous 9,000-mile journey that began in Tierra del Fuego. Deborah Cramer followed these knots, whose numbers have declined by 75 percent, on their extraordinary odyssey from one end of the earth to the other—from an isolated beach at the tip of South America all the way to the icy tundra. 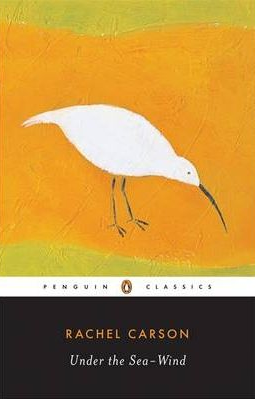 In her firsthand account, she explores how diminishing a single stopover can compromise the birds' entire journey, and how the loss of horseshoe crabs—ancient animals that come ashore but once a year—threatens not only the survival of red knots but also human well-being: the unparalleled ability of horseshoe-crab blood to detect harmful bacteria in vaccines, medical devices, and intravenous drugs safeguards human health. 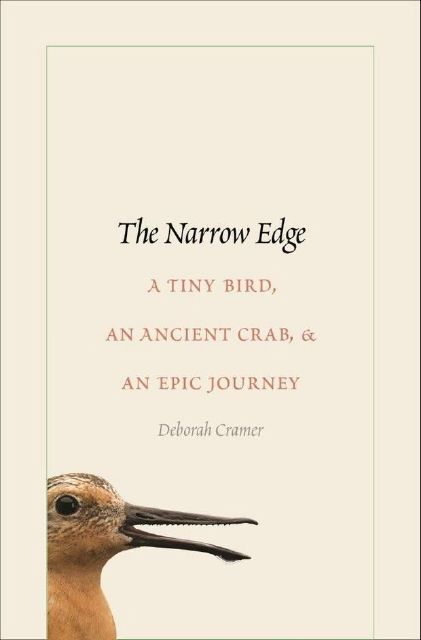 Cramer offers unique insight into how, on an increasingly fragile and congested shore, the lives of red knots, horseshoe crabs, and humans are intertwined. She eloquently portrays the tenacity of small birds and the courage of many people who, bird by bird and beach by beach, keep red knots flying. 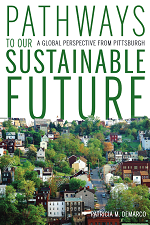 Pathways to Our Sustainable Future – An Environmental Ethic for the 21st Century.